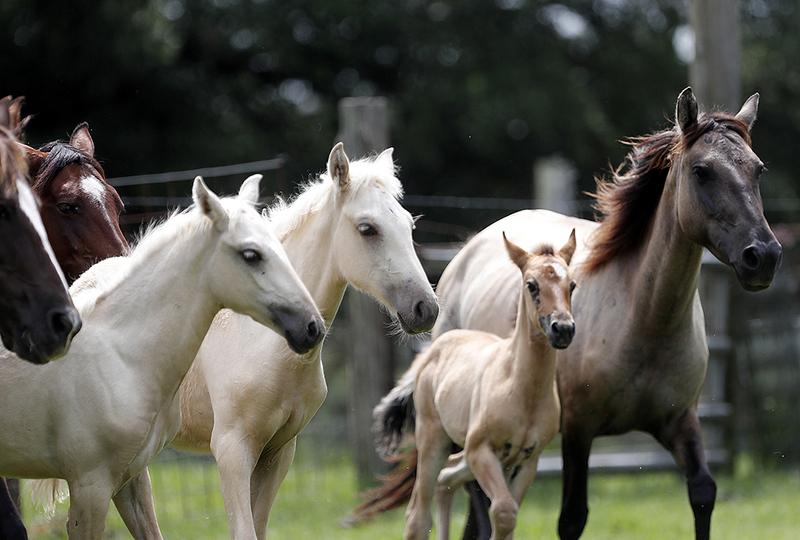 Six foals sired by a cream-colored stallion called DeSoto scamper across a pasture in southwest Mississippi. 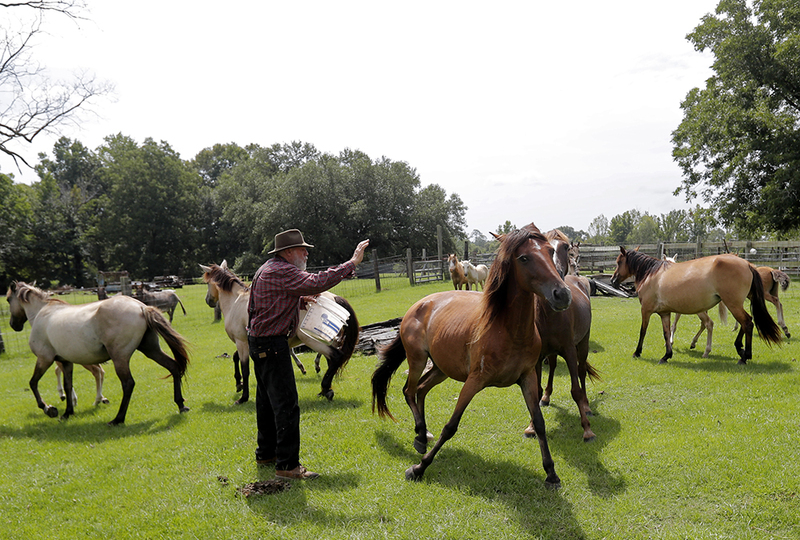 They are the first new blood in a century for a line of horses bred by Choctaw Indians. Choctaw horses are descended from those brought to America by Spanish explorers and colonists beginning in the 1500s, says Dr. D. Phillip Sponenberg. He works with the Virginia-Maryland College of Veterinary Medicine. The Choctaw tribe lived in what’s now known as Alabama, Mississippi, and Louisiana. 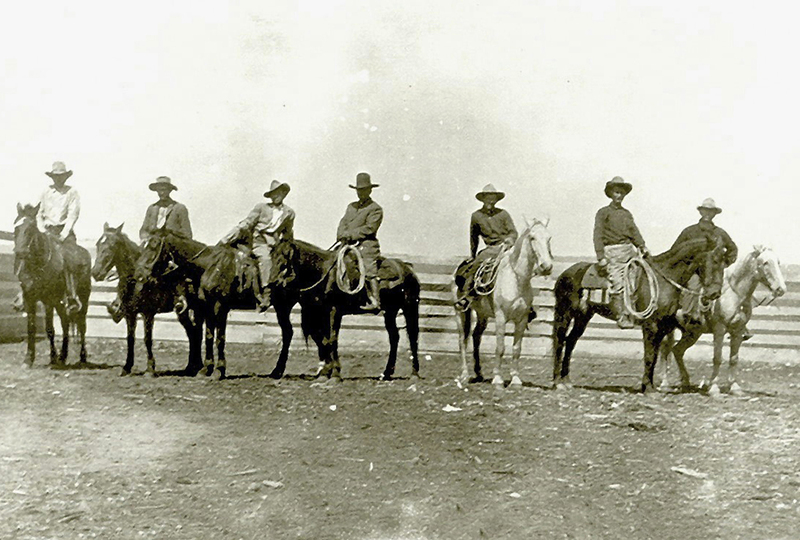 The Native Americans acquired their first horses from Spanish missions established across the Deep South. They became adept at horse breeding. God gave this breed many desirable characteristics. Choctaw horses are small, sturdy, strong, and tough but docile and easy to train. The little horses are sometimes inaccurately called “Spanish mustangs.” “Mustang” refers to a feral horse. Choctaw horses all come from domesticated Spanish stock. In 1830, President Andrew Jackson ordered the Indians out of the lands east of the Mississippi River. Choctaw, Cherokee, and other tribes relocated on the tragic “Trail of Tears” to Oklahoma. The Choctaw took the horses with them. The breed was thought to be gone from the Deep South. Finding DeSoto on a farm in Poplarville, Mississippi, was a happy surprise that led to a plan to preserve the dwindling strain. 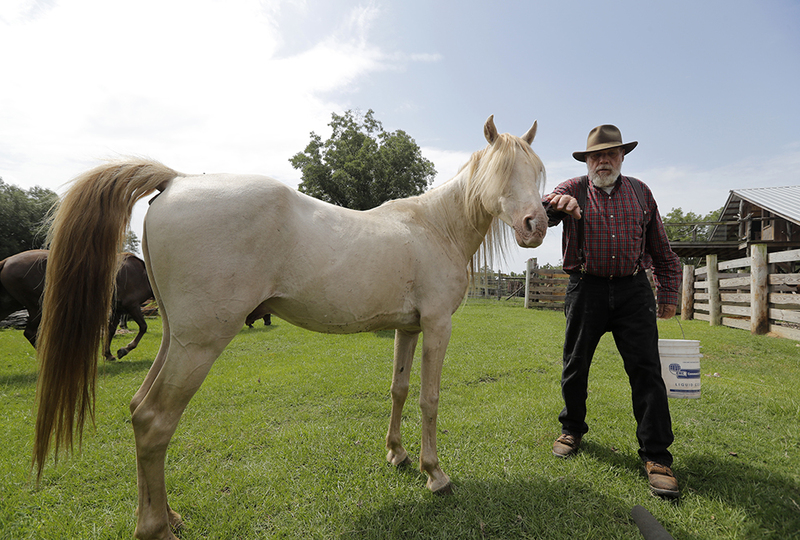 Bryant Rickman has worked in Oklahoma since 1980 to restore the breed. 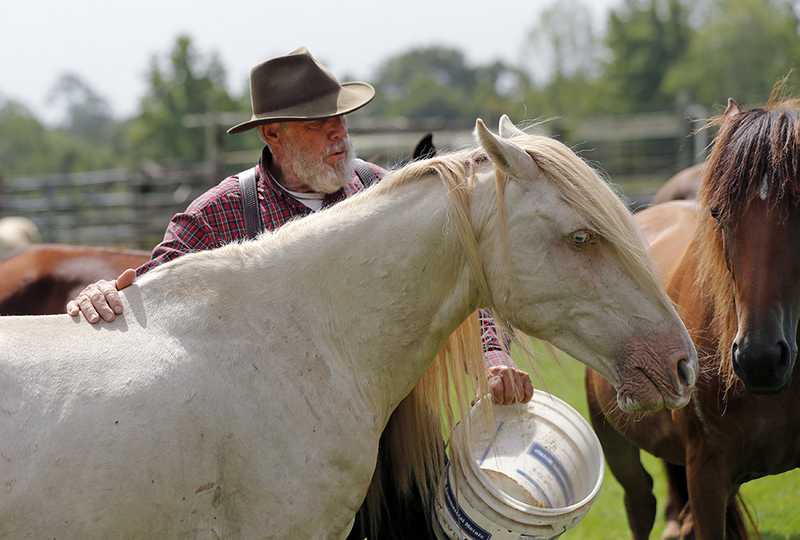 He estimates he has bred more than 300 of the horses. But with just nine mares and three stallions to work with, the gene pool was small. Sponenberg visited Poplarville in 2005 to check out some small cattle descended from Spanish colonial stock. He was surprised to find Spanish colonial sheep there too. Then came the day’s biggest surprise. “Out of the woods came this horse, single-footing,” Sponenberg recalls. He’s referring to a smooth, moderate gait common to the Choctaw. It’s not the bouncing trot of most horses. Bill Frank Brown was 14 when he inherited the farm that Sponenberg visited. It had been in Brown’s family since 1881. The lineage of Brown’s livestock had existed even longer. Brown had three stallions in 2005, including DeSoto. He called them pine tacky horses. DNA tests confirmed that Brown’s “pine tackies” matched Rickman’s Choctaws. Two of Brown’s stallions have since died. Sponenberg selected mares that would be the best genetic matches for DeSoto. They were brought to Mississippi last year for breeding. Some of the offspring will remain at the Mississippi farm. Others will go back to Oklahoma to grow the herd there. Much of the world doesn't have enough fresh water. That is really fun to know! I love horses and like reading cool articles about them! I'm really glad the Choctaws are coming back! That article is probably my favorite WorldTeen has published that I've read so far! I LOVE horses, and I really hope that they can restore the breed. And the mare and foal is so sweet! Wow Alaina F., the Kambarbay breed really is pretty!!! I absolutely LOVE horses, so I really like it when there are horse articles on here. Thanks so much, World Teen, for adding horse articles. I really enjoy them! I, too, thought it was exciting that the Choctaw horses are making a comeback. I also loved the slideshow and thought that the foals were positively ADORABLE! All of the horses were very pretty, too. Oh my goodness! I searched Kombarbay up and he DOES look like he was dipped in gold! It's amazing and looks so unreal! It is really great to know that they are still alive! I hope they can reproduce and there can be more of them. Kambarbay is neat--But the 'worlds prettiest horse' award has to go to the Friesians. Sorry Kambarbay, but the Friesians' shiny black hair and flowing mane and tail take the words right out of my mouth. Honestly, other horses look like Kambarbay. Akal-Teke horses often have a champagne coat, and are shiny--Making them look like a beautiful golden horse statue. Friesians are beautiful! I have never really heard too much about them until you mentioned them. Kambarbay is very pretty, I think that it's that he is so different from other horses that make him stand out. But again, Friesians are magnificent! They look like something out of a fairytale! From looking at some amazing photos... I think I just changed my mind! Just to clarify though, I didn't crown Kambarbay the world's prettiest horse, when I looked him up that was his title. Although he is so stunning as well! Really, all horses are breathtaking. I LOVE the majestic Friesian horse! We almost bought one a while ago, and I wish we had, but...oh well. I like how freisans look and act, but I would rather have a smaller, zippy horse. 20 Comments! Lets keep going! 20 Comments! Lets keep going!!! This is soooo cool! I am obsessed with horses! Yaass, I agree Alaina F, Kambarbay is sooo pretty! I took riding lessons but I don'r have a horse! Hannah M, Alaina F, and Alyssa S, I wanted to tell you that although Friesians might be beautiful, they actually aren't useful. They can't pull, you can't ride them all that well, and, well, mostly people just buy them for show. My favorite breed is the Quarter Horse. They can run 1/4 of a mile faster than a Thoroughbred! Gaming when too much is too much has over 1,400. Here is another fun fact for you-- Friesians are also amazing therapy horses. I use to know someone who owned a Friesian mental therapy horse--and I also worked with the same horse. Quarter horses are also amazing. About half of them are mistreated, which is sad. I used to also work with a POA/Quarter horse X breed. Its sad that two of them died. it's also sad that they're being mistreated as Eliana C said. Mud Room After you've read all of the stories in the March/April Mud Room section, take the quiz and test your knowledge.